Centralina Workforce Development Board in collaboration with the Centralina Council of Governments and other regional partners, launched the region's new career tool Centralina Career Headlight to help career seekers identify careers and jobs available in our region, the skills required for these positions, and where to get the necessary training for these jobs. 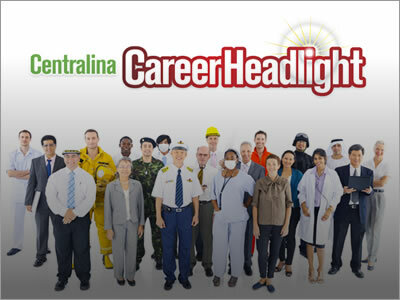 Visit Centralina Career Headlight now to identify rewarding local careers and jobs, identify the skills needed, and learn how and where to get the training in the region. Career seekers wanting to upgrade their skills and tap into valuable training should visit the NCWorks Online training provider list. It supports career seekers in making cost-effective decisions about training providers. Learn about the jobs and skills that are in demand in our region. Whether you’re looking for a job, making a career change, or desire to increase your earning potential, it’s important to learn as much as you can about the career options available in your chosen field. Use the NC Department of Commerce website to learn about hot jobs in our region and explore the education levels needed for these opportunities. 2018 Centralina Region Highest Ranked Industries – data and charts on high growth industries in our region from Chmuera Economics and Analytics. 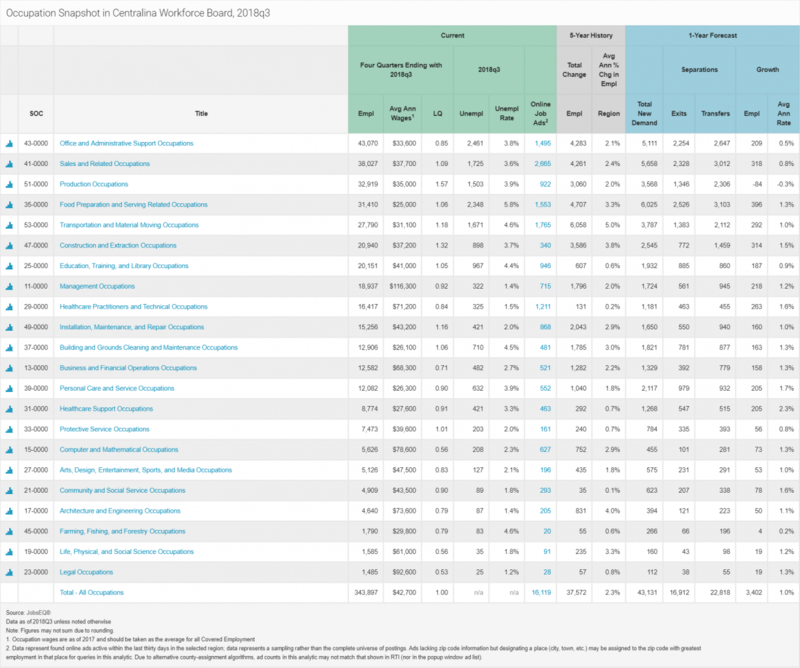 2018 Centralina Region Highest Ranked Occupations – data and charts on high growth occupations in our region from Chmuera Economics and Analytics.